The former first minister of Wales, one Carwyn Jones, said this about Jeremy Corbyn’s speech at yesterday’s Welsh Labour Conference: “The speech by Jeremy Corbyn this afternoon was not one of a Leader of the Opposition. It was one of a Prime Minister in waiting.” I doubt very much whether Corbyn had anything to do with the writing of the speech, so is Jones, who used to be a voice of relative common sense in the Labour Party, suggesting Seumas Milne is the prime minister in waiting? As a lifelong Labour member and/or supporter, I find the idea of Corbyn in Number 10 as ludicrous. An elderly career politician whose only experience of power was back in the 1970s when he was chair of the Haringey council housing committee, a man of limited intellect and a highly dubious track record in politics as PM? No thanks. It is not merely his support for terrorists such as the IRA, Hamas and Hezbollah, or that he laid a wreath in Tunisia for those who castrated and murdered Israeli athletes at the 1972 Munich Olympics. Nor just his tolerance of anti-Semitism in the Labour party. Nor just his support for shady groups such as Stop the West…sorry…War. It’s much more than that: he does not have the qualities to organise a piss up in a brewery, never mind be the head politician in the land. The idea is preposterous. Let us remember one thing about Corbyn. When Ed Miliband stood down as Labour leader in 2015, MPs foolishly nominated Jeremy Corbyn to ensure he at least got on the ballot paper for the new leader so there would be a wide-ranging political debate about the direction of Labour. The hard left saw a golden opportunity, gifted them by the mainstream Labour Party, to install one of their own and then seize the controls of the party. Coming up to four years on and the hard left now controls Labour. Still, the idea that Corbyn is seen as a potential prime minister is faintly bonkers, albeit a real possibility. Corbyn, the man who questioned whether Russia was involved in the Salisbury Novichok murders, despite clear evidence to show they were indeed involved. Corbyn, the man who has always opposed all forms of military action by the west but always remains quiet when his “friends’ in Hamas and Hezbollah embark in mass murder. Corbyn, who invited IRA members to parliament when they were engaged in their killing spree. And so on. More than all that, Corbyn, as the comrades know, is hopelessly out of his depth and as unsuited to being prime minister as anyone in the land. Boy, the mess we are in. The Conservatives in utter disarray. Two far right parties, Ukip, which is now has actual fascists high in its ranks, and Nigel Farage’s latest ego trip the Brexit Party. Labour, with members who support remain but a leadership desperate to inflict the hardest possible Brexit on the country with the specific aim of bringing about socialism in one country given the mayhem a no deal Brexit would cause. And the Lib Dems still deservedly paying a price for propping up David Cameron’s austerity assault on the poor. 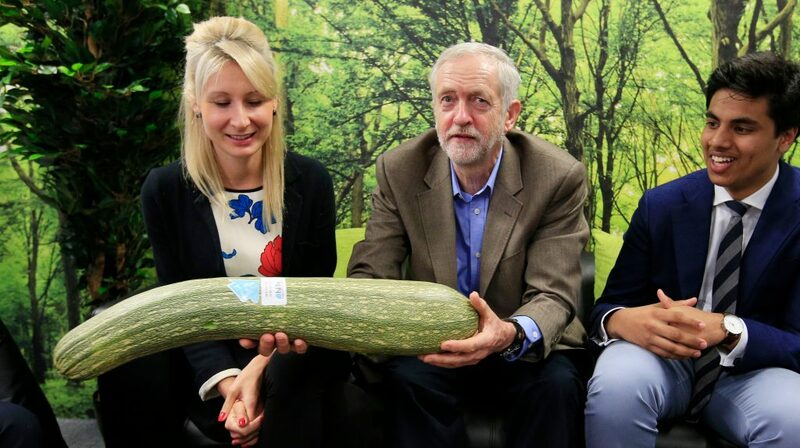 This is probably why Corbyn is touted as a potential PM. He may be the worst of a bad bunch, but when the alternatives are all grim, you can see why some see him as the new tenant in 10 Downing Street. If he makes it, you will see Labour unravel and become a minor irritation on the ultra left. And it would be something they would richly deserve.